The time of year that we all wait for is finally here. Get out and drive that Porsche. We have lots of events for you to do that. Those events are profiled in this issue and you can always stay on top of new events that are added to the calendar by checking out your region Web site, www.porschepark.org often. May 7 General Membership meeting -- come out and meet other members, learn about the region and our activities. Free beverages and snacks. No cost to members. Delafield Brewhaus. 6:30 pm start time. See you there. This is for all members. May 8 - 9 -- Drivers education event at Road America. Enjoy a driving experience on one of the best road course's in America. New members -- those who have joined within the last 12 consecutive months -- are eligible for a discounted registration fee. Not sure you're ready for DE? Sign up for a Taste of the Track session where an experienced driver will take you and your car on the track and show you what DE is all about. Details on the DE Events page on this site. May 9 -- Drive and dine. Take a short driving tour that starts at Cabela's in Richfield, Wis., and heads to Road America. At RA, we will watch some of the drivers education action, tour the track in our cars at touring speeds (track tour is not required) and convene for dinner at a great restaurant in Elkhart Lake. May 17 -- Autocross fun. A three-region event sponsored by the Chicago Region. Head south to South Bend, Ind., to the grounds of Tire Rack for this event. June 1 -- Drivers education at Blackhawk. The Badger Bimmers have invited Milwaukee Region members to a DE event at Blackhawk. Go to the DE Events page for registration information. June 4 -- Board meeting at Brew City Grill. Members always welcome to sit in on board meetings. June 7 -- Autocross at Rockford Speedway. This is the second in a series of three-region events. Visit the Autocross events page. June 13 -- Drive and picnic. This social event combines some driving in Kettle Moraine area and a picnic at the end of the morning drive. RSVP by June 6. June 13 -- Ladies only driving tour to Door County. Join women from the Fox Valley Region for a jaunt in the Porsche to Door County and back. Drive your own Porsche or be a passenger. June 27 -- Summer driving tour. This is a full day of driving on some great Wisconsin roads. We will head west to Madison and then into the Monroe area. Watch the Web site for more details soon. 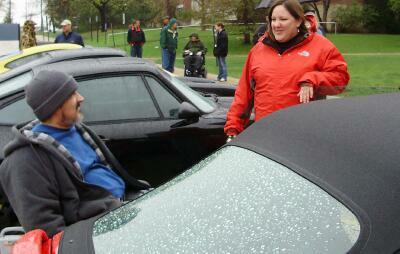 Despite crummy weather, our April 25 car show at the VA Center went on as planned, much to the delight of vets who came out to the parking lot to see our cars and talk with us. Mark Fischer joins our region with his 2003 911 Turbo X50. Basalt Black in color, this is his seventh Porsche for Mark. After owning seven Porsches, he decided to join PCA for the first time. Mark has already tasted some of the region’s offering – he attended the Harley Davidson event in late March and will participate in the region’s DE event in May at Road America. 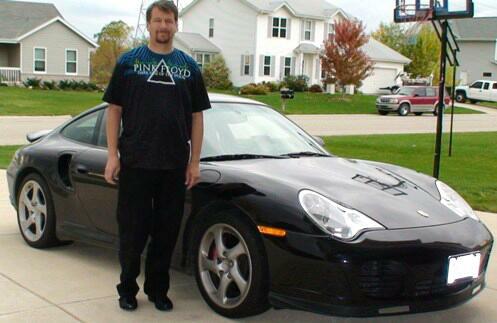 Mark’s Porsche ownership timeline would make Ferdinand Porsche smile. He started his progression of Porsches with a 944 and then moved successively to a 928, Boxster, 911, Boxster S, 911 4S and finally, the 911 Turbo. For good measure there were two Corvettes, an Audi TT and a Ferrari 512 TR in the Fischer garage at one time or another. He also had a Cooper S and his current daily driver is a BMW 335i Coupe. Being among other enthusiasts and participating in driver events are the reasons he joined us. We’re glad he did. 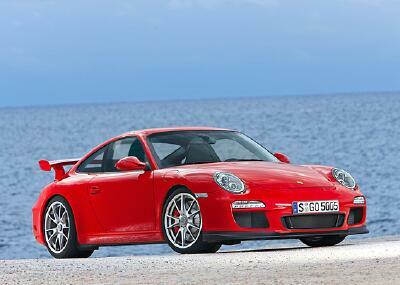 “It was always my goal to buy a Porsche 911 Turbo. I always thought it would be a new one so this goal was quite a few years down the road. Mark Donahue from International Autos advised me of some cars that may be of interest – such as the new BMW M3, the new Porsche Cayman, and the pre-owned Porsche 911 Turbo. “I drove all the of cars and it was only then that I discovered the 911 Turbo was an X50, which I thought was rare and very expensive, I was amazed by the performance, and since it was a certified Porsche, it came with a warranty too. The BMW and Cayman were nice cars but they could not compare in the performance area. I was just looking and not prepared to buy so quickly but I negotiated on the premise I really did not need to have this car and got a rather nice discount. Mark notes his family loves Porsche cars. He has two boys ages 20 and 18. He said they have both driven the Turbo even though they are not really comfortable with stick. “Modern Porsche cars are so easy to drive. Of course I held a very tight rein on both of them when they drove the car,” Mark said. He said his wife appreciates his love for Porsches but doesn't really get it. 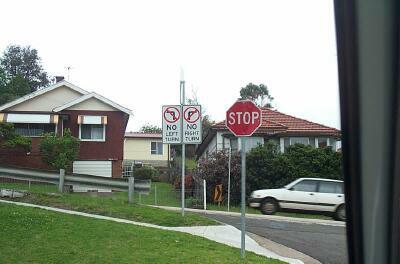 “It does not help that she usually finds out about my new car purchases until they arrive in the driveway. You would not believe the furniture I had to buy in the name of keeping the peace.” Mark works in the computer industry as a IT manager and is well versed in Microsoft Windows servers and products. In 2007 she slipped and fell on a wet floor and ended up with a nasty concussion and a broken neck. “This gave ‘life is short’ a whole new meaning, and after two years of spine surgery, heavy pain killers, and physical therapy I decided I'd better start looking for that Porsche I'd always talked about owning,” Mary said. On March 8, 2009, she was attending a brunch with friends and after several mimosas announced that her next car would be a Porsche Carrera. “Of course everyone said ‘yea right’ and ordered another round of mimosas. “I went home from brunch, picked up the paper, and there was an ad for a 1995 Porsche 911 Red/Black Carrera Cabriolet, in A-1 condition. I called on it Monday, went out to Reina International Auto to look at it on Tuesday. I knew it was the one, test drove it on the next dry day (it was indeed the one) and drove it home on Saturday! Now my only regret is that I didn't buy a Porsche 30 years sooner. My winter car is a Jeep Cherokee." Mary brought her Carrera Cab to the April 25 car show at the VA Center. Driving a car without a roll bar or hard top has its issues at the track, but that won't stop Mary from participating in other activities the club has to offer. 'I have already spoken with Dean Fabritz and Filip Reina about adding a roll bar, but I think this year I would like to just check out the track events as a spectator. I can look at, and talk about hot fast cars all day, and have been known to lift a stein or three, so I think I've probably joined the right club." she said. Mary graduated from UW Oshkosh in 1983 with several degrees in functional design. She lived and traveled in Alaska for 12 years as a graphic designer, bar tender and freelance photographer and also has had her own business varnishing yachts. She currently is taking computer design classes. Check out this event the last weekend in July in northern Ohio that attracts hundreds of Porsches (and their drivers) to what the event organizers call a big Porsche party. 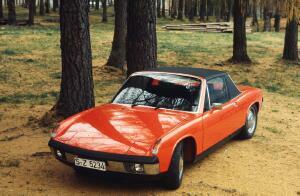 History of the 914 recalled and celebrated at the Porsche Museum in Stuttgart. The Porsche Club of America has an all-new Web site. If you haven't checked it out, do so soon. While you're there, create your log in and password so you can manage your membership record online. 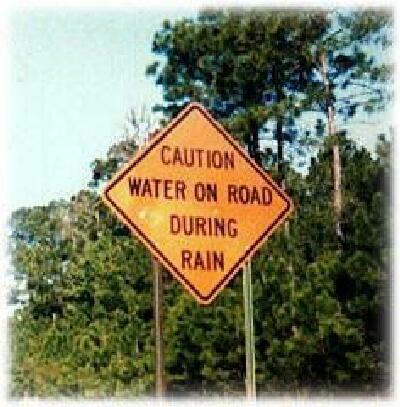 Hmmm, straight ahead doesn't seem to be an option either. 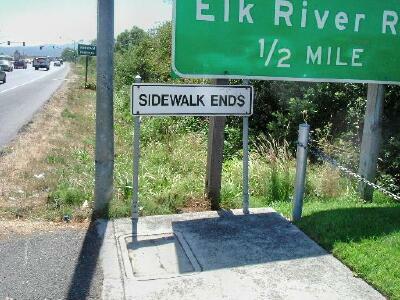 For those pedestrians who need to be absolutely certain.... Good to know. Steinlifters Online is published for members of the Milwaukee Region, Porsche Club of America. Contributing writer -- Geoff Wilde, who prepares the new member profiles. Not a member? Join us! Visit www.pca.org and join today. Read past issues of Steinlifters Online here. Scroll to the bottom of the page for a list of archived issues.